What I once was trying to avoid, now I find myself liking–doing matchy-matchy with my lil’ Ms. JG that is. I never entertained the idea until she was old enough (around 4) to have a say in what she wants to wear. And quite frankly, I never thought matchy-matchy clothes could be chic too! 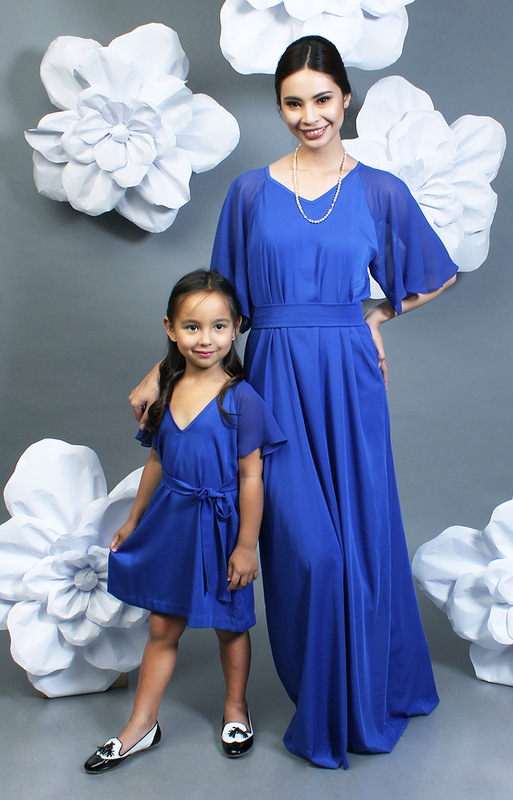 If you’re hesitant to try mommy & me outfits, you might want to check out the latest collection from AVA. 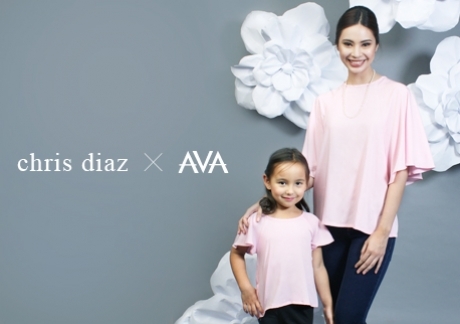 Chris Diaz x AVA launched just in time to celebrate mothers! AVA has always been an advocate for honouring the grace and courage of women. This season, we thought of no better embodiment of the AVA woman than the best women we know, our mothers. Motherhood is one of the greatest challenges and biggest blessings in a woman’s life, a testament to her and strength and gentleness. Many of the mothers today also balance running a household and a successful career. We salute all mothers’ passion and perseverance. We’re also grateful for the love and support our mothers have given us. From the moment we first open our eyes, they’re the first ones we cry for, the first ones we depend on. No one knows you better than your mom. On May 8th, we celebrate that special bond a mother builds with her kids. As thanks, we dedicate this very special collection to all the moms out there. We created pieces that listened to a mother’s needs and honoured their beauty. Chris’ designs are characterized by his love for graceful silhouettes and unmistakably feminine details. AVA.ph immediately fell in love with his vision of creating a collection dedicated to the most important woman in our lives: our mothers. While designing this collection, Chris was mindful of creating silhouettes that are flattering and comfortable, while still staying true to his aesthetic. The collection makes use of light and playful silhouettes that work well both for a mother who wants no frills yet impeccable style, or a child who needs clothes that let her run and play. Chris also chose a color palette that fits the colors of the season, and that would make the women wearing them feel young and fresh. The matte satin fabric is light and easy, perfect for the summer weather. Don’t you just love how chic the collection is? I have my favorite and I can’t wait to wear it as soon as it arrives! You can now pre-order these over at www.ava.ph. Delivery of items starts on May 27, 2016. Buy any mom outfit from the collection and get 5% off on all little lady outfits!